EIL has released the recent recruitment notification called EIL Trade Apprentice Recruitment [email protected] .As per the notification the vacancies are 229 includes technician apprentice vacancies also..The process of application is completely online .It is available on the main site of EIL @engineersindia.com or http://recruitment.eil.co.in/ from 8th Nov 2017 to 28th Nov 2017. EIL Recruitment of Trade and Technician Apprentice 2017: Here is the very recent central government job recruitment in the organisation of Engineers India Limited (EIL) for 229 Trade & Technician Apprentice Vacancies.This notification is released on 8th Nov 2017 .Main reason to release this notification is EIL have the number of vacancies in all its branches present at various places of India.The notification is available in the official site of EIL with the name of EIL Trade Apprentice Recruitment 2017 notification.The online source site of this recruitment notification is engineersindia.com. 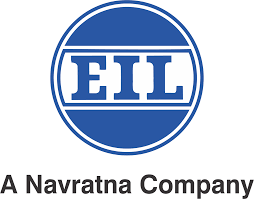 You can search in this site about the organisation and also the current vacancies in this organisation.All updates will be uploaded in that official site .So that it will be easy for you to know about all the EIL jobs. Online Application Form of EIL 229 Trade & Technician Apprentice Vacancies : Engineers India Limited (EIL) is a Navratna Indian PSC providing services in the field of Petroleum and Mining .EIL has already confirmed the employment advertisement from its recruitment to all the EIL aspiring individuals.By means of this advertisement EIL took the decision of appointing the best candidates for EIL Trade Apprentice Recruitment 2017 .But to appoint those best candidates it has to select them on the basis of their academic qualification and interview experience.The individuals who have seen this notification and if interested in these 229 vacancies can apply only for them. Recruitmentindia.in provides you all updates about any Indian PSC company recruitments. The complete qualifications for EIL Trade Apprentice Recruitment 2017 notification as per the job wise. The candidates who want to apply for these vacancies should have 10th/10+2/Diploma or ITI certificate in relevant trade from a recognised board/university. Candidates, age must be as per the EIL Trade Apprentice Recruitment 2017 that is minimum age is 18 years. Selected candidates will get the pay scale as per the norms of the EIL Trade Apprentice Recruitment 2017 is as Rs.10,000-Rs.14,000 per month. Latest EIL Notification of Trade and Technical Apprentice Posts 2017 : Yes this is a very latest EIL recruitment which is made into public on 8th Nov 2017.On the same day of notification declaration the online application has also started.That means the online application of EIL 229 vacancies will be available from 8th Nov 2017 to 28th Nov 2017 . Only twenty days gap is given for the online application submission. The people want to peruse their career in this central organisation must click the online EIL Application form after ready the vacancy notification. The giving of final offer letter will be decided by the EIL Officials by checking the applicants academic percentile and based on his performance before the interview members. A separate interview is held for the applicants having best percentile in the qualifying exam which means academic qualifications .Either they select for the interview round or not will be notified to all the applicants of EIL 229 vacancies through SMS or mail ID.So proper phone number and email ID has to be submitted by the applicant in the online application of EIL Trade Apprentice Recruitment 2017. With the respect I beg to say that I fill the Application form of diploma apprenticeship in EIL but I loss my printout of application because it was stolen. Now Sir tell me that how can I reget of the printout. I have no registration number. Check it in your mail id or phone number for registration number. Or else click the link of forget registration number. Sir on the website no forget option and I can not get any sms or email. Sir tell me the merit list opens? This is merit based or written test. I Applied completion Qualification for EIL Trade Apprentice on 28 November2017 . I wait where come EIL Apprentice Merit list. When will be publish trade apprentice merit list.